I know pride is one of the seven mortal sins, so I’m going to try to write this entry in the least prideful way possible. Going through my photos of food I’ve cooked this year, I thought there were several pretty pictures so I posted them all as a Facebook album. When I was looking at the main page of the album, I was pretty satisfied with the way it looked. Looks pretty professional, right? Of course, looks can be deceiving! But since they are all about food, I’m not sure if the sin I’m committing is more one of pride or one of gluttony. This entry was posted in Uncategorized and tagged Facebook, food, gluttony, pride by christao408. Bookmark the permalink. I want eat them all. I love your food pictures, and yes, they do look very professional! I’ve thought that since you posted your Sunday Date Brunch entry! AMAZINGGGGGGG…..Chris – would u plz add me on FB? so i can “like” them all?!?!?! You must love to cook. I would just love to eat them all. Add to that my current sin of lust after that food. That’s a very attractive set of pictures. you are making me hungry, hehe. Very very pretty. I love taking pictures of food too but I am just not a good food photographer so my food ends up not looking too delicious. @ZenPaper – @epiginoskete – Lust, envy, pride, gluttony… Oh, we’re all damned… =D@icepearlz – I’m happy with this new Panasonic Lumix LX3 I’ve been using for the past year. It has really good low light handling (perfect for restaurants) and macro and manual focus controls with a wide angle lens, so I can get nice and close to the food and capture lots of detail. @Fatcat723 – I enjoy cooking. It is a nice change of pace from working in front of the computer all day. @Wangium – Why? Not enough? @Roadlesstaken – @foggysunnymorning – @Chatamanda – @Southeast_Beauty – @yang1815 – @stevew918 – Thanks everyone. Glad you enjoyed. @KidGohan – What were you making in the dorm? I would think the cooking facilities must have been pretty limited. 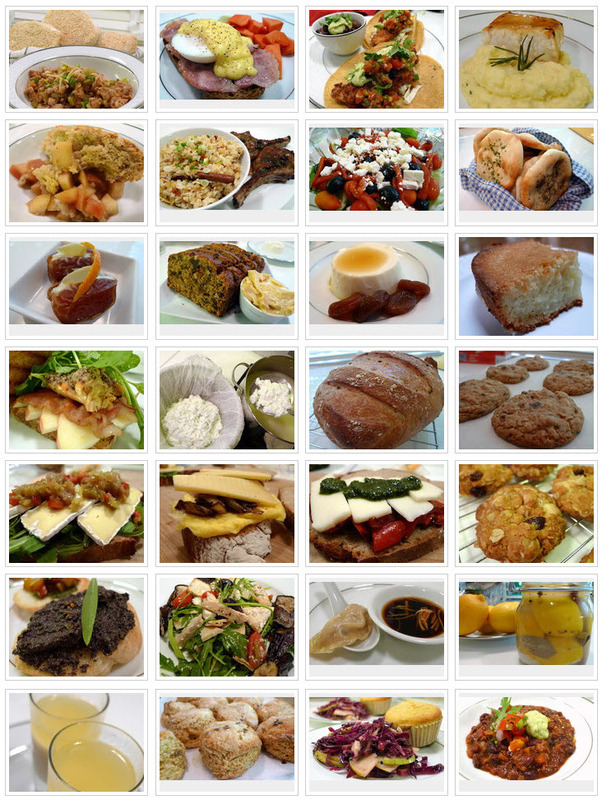 Please continue to share with us your food pictures! You have the best ones around. I am just about to go get my lunch… you have made me very hungry now! Alas, my lunch doesn’t even remotely look as good as that. I am sure there is mention of a sin causing a sister to covet. That does look professional. I’d gladly eat anything there. You are a professional Chris, and you know it. Pride or Gluttony, who the heck cares! I just want to inhale everything that you have posted here ( sans pork stuff ), and feel that I have finally found peace in my stomach! @ZSA_MD – Each time I make a pork dish (since pork is perhaps the most common meat among non-Muslim Thais), I feel a little guilty and think, “Okay, that’s one more dish I couldn’t serve when Zakiah and M come visit…”@Umnenga – That was the unnamed eighth sin…@grammarboy – That’s good – picky eaters aren’t generally welcome. @Dezinerdreams – Oh, but I bet it was tasty nonetheless. What does your everyday lunch consist of? @Southeast_Beauty – Even if I were to try, I doubt I could resist writing about food and my (mis)adventures in the kitchen. @christao408 – Actually, I get a very good home cooked breakfast and lunch. There is a cafe on the same lane as my store, and the lady who owns that cafe gets food from her home for me. @christao408 – No, don’t feel bad. I am just teasing you. @Dezinerdreams – Oh, you’ve just lucked out, haven’t you? Take some pictures – I’m curious to see what she’s feeding you. @ZSA_MD – Yeah, but I don’t want any of my recipes to be off limits. Well, they would be off limits to vegetarians but I could still bake them biscuits. @RespiceAdspiceProspice – It doesn’t just have to be things that turn out wonderful. I think homemade food is worth celebrating even when it is ordinary and everyday. this is not sin. food is never meant to be a mistake. makes my mouth water. @Azriha – Thanks@Renatojr3 – Whew! You could choose 12 good pictures and turn them into a calendar. @ElusiveWords – That’s a funny idea. @christao408 – include the recipe as well and it would make a wonderful gift.